Amer Abdallah strives to expand fan base and regions reached. We love the Auburn community...We feel right at home here. 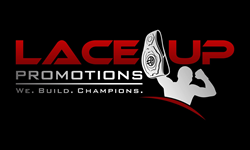 One of Muay Thai and kickboxing’s largest promotion organizations, Lace Up Promotions, has just expanded its events into a new market in the Central NY area. CEO Amer Abdallah announced that he and his New York State-based team are aggressively looking to develop new regions and reach more fans to keep their fan base growing. Lace Up Promotions hosted their first event on Feb. 27 at the Hilton Garden Inn, dubbed “Extreme Justice” with tickets selling out the opening week they were put on sale. Local stars Craig Diego, Allan Martinez, Trevor Stroman, Jolene Dennis and Brad Vargason headlined the event. “That just solidified our hopes for this region and assured us of the awesome fans out here we have supporting our events. We put on amazing fight cards, with tremendous local up and coming talent. Our motto is ‘We. Build. Champions’ and that’s exactly what we are planning to do in Auburn,” Abdallah said. After the success of the February event, Lace Up Promotions began receiving phone calls from several local venues to invite them to host their future events. One venue in particular caught the eye of Lace Up Partner Team Cole MMA. They informed Abdallah about the potential of hosting events there. Abdallah, who currently resides in Las Vegas, made the trip out to Auburn to visit his partners, Keith & Lisa Cole, and met with Fingerlakes Mall Event Center Managing Director Vincent Gleason. “It took us almost no time at all to get on the same page and begin planning for a successful future. That’s how a successful team works,” Abdallah said. Just this week, the Fingerlakes Mall Event Center finalized the agreement to exclusively host Lace Up Promotions in their upcoming Mixed Martial Arts and Muay Thai Kickboxing events. “We are excited about this future partnership. With the growth of our venue and expertise by Lace Up Promotions, this is a knockout deal!” Gleason said. The next Auburn event is scheduled for June 11 at the Fingerlakes Mall Event Center, with Lace Up Promotions expecting another sell-out. 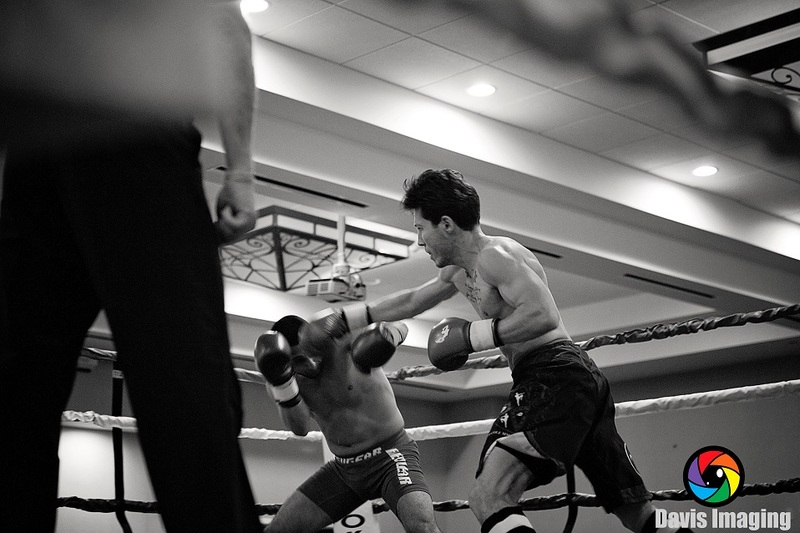 Allan Martinez in action en route to a unanimous decision victory.